It’s Gentle-Laser Hair Removal that combines the power you need with speed and comfort you can trust, no matter what your skin type! 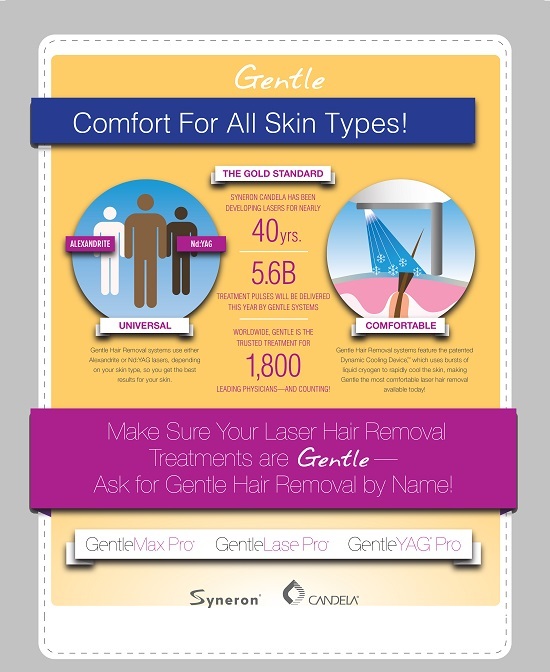 Gentle-Laser Hair Removal is the laser hair removal treatment that’s safe and effective for all skin types! It’s powerful enough to deliver great results, and with Candela’s patented Dynamic Cooling Device and fast treatment times, it’s the most comfortable laser hair removal available. 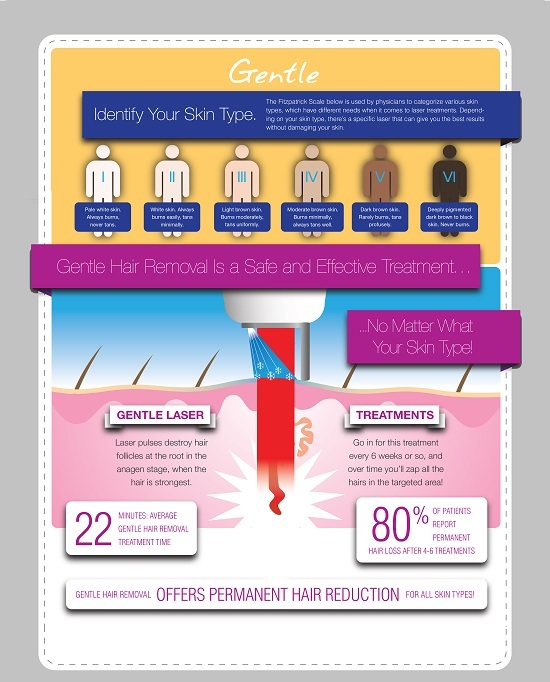 Gentle-Laser Hair Removal targets the hair follicle at the root, delivering a burst of gentle energy and therapeutic heat to provide permanent hair reduction over the course of a few treatments. In additional super-fast treatment times, Gentle Hair Removal ensures additional comfort through its patented Dynamic Cooling DeviceTM, which uses cooling bursts of liquid cryogen for the most gentle laser hair removal treatment available today! 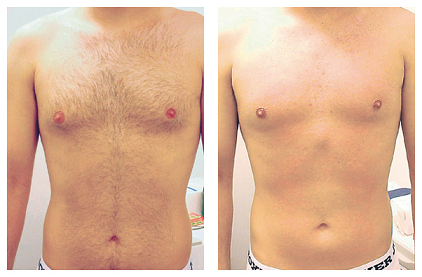 When it comes to laser hair removal, Our Gentle-Laser System gets results that speak for themselves! 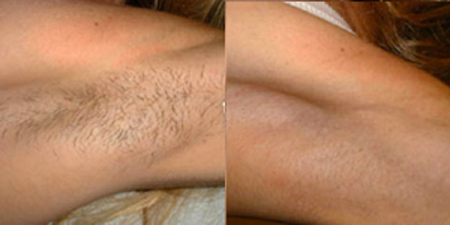 The before and after pictures demonstrate that Gentle Hair Removal is effective on all skin types, delivering permanent hair reduction on the face, neck, back, chest, legs and more. 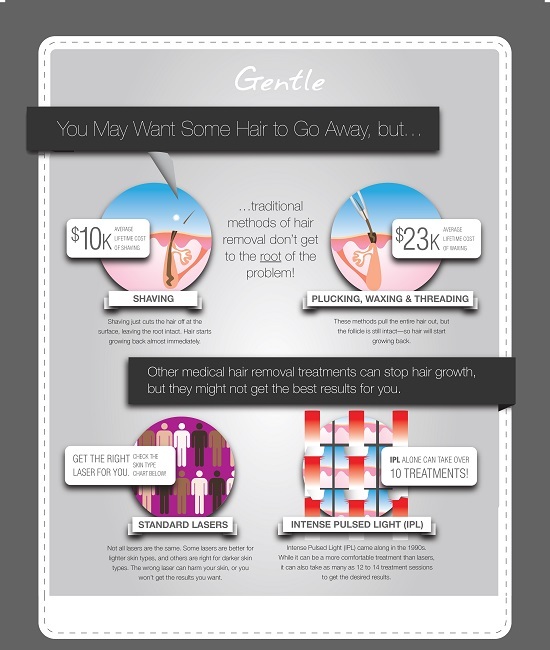 Don’t Forget To Scroll Down To Watch & Learn How Laser Hair Removal Can Work For You! 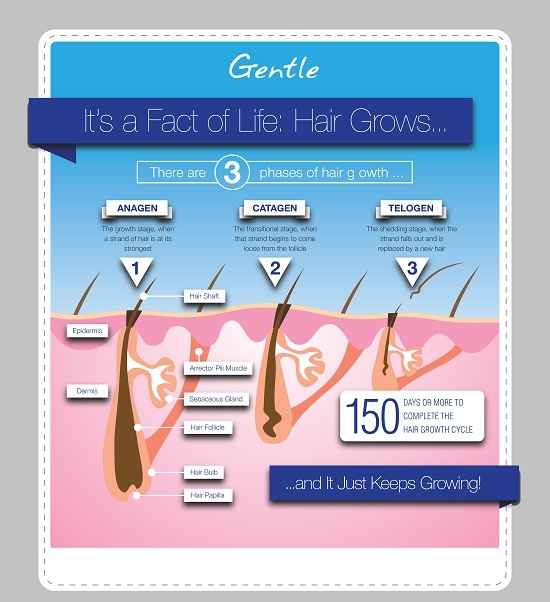 Is the “Growth Stage.” This is when hair is at its thickest and darkest, so laser treatments are most effective. 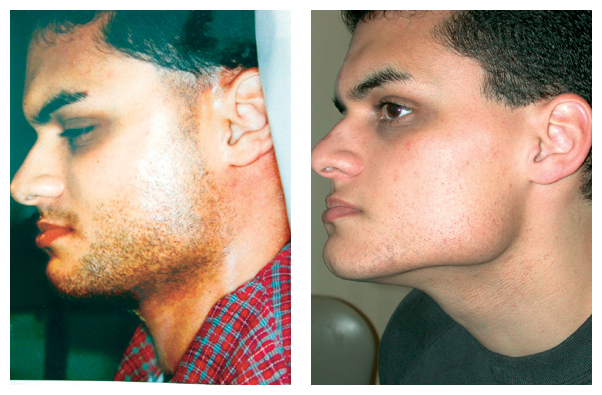 Is the “Transitional Stage.” This is when hair begins to loosen from its follicle. Is the “Shedding Stage.” This is When the hair falls out to make room for new growth. Permanent side effects are rare and may include redness, swelling, hyperpigmentation, hypopigmentation, blistering and purpura (laser bruise) in the treated area, these usually do not last more than a few days. Your practitioner will have more information about potential side effects.